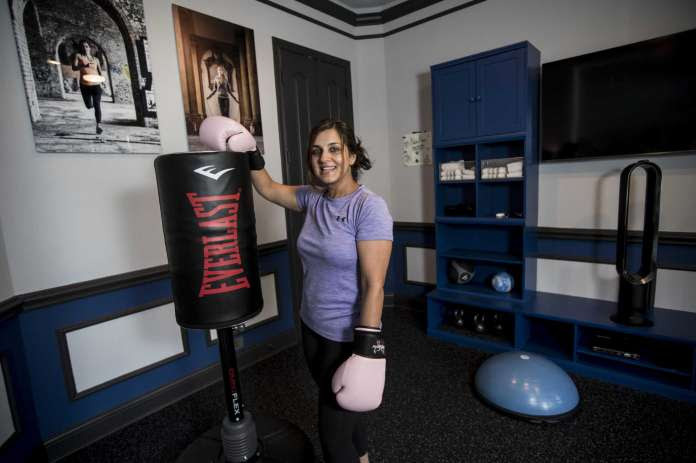 Neha Malkani in her exercise room—once a traditional dining room, now tactfully transformed into a multipurpose space. Houston interior designer Saima Seyar of Elima Designs worked with Shashi Malkani to transform the room as a surprise gift. The two went to elaborate lengths to keep it a surprise, with Shashi telling his wife that Seyar was helping him with a fish tank. Read the entire article on Houston Chronicle.